How cartoonish, how completely unreal, have counterparty obligations gotten around the world? When you include financial derivatives, those murky casino bets bankers love to make and hate to account or, total global debt is now over one quadrillion dollars. A quadrillion dollars is 1,000 trillion dollars. About 15x the GDP of the world. If you placed one quadrillion British pound coins on top of each other, they’d reach beyond our solar system. Which, at this rate, is where we will all need to look for sustainable fiscal policy before long. Total global debt now exceeds $233 trillion. 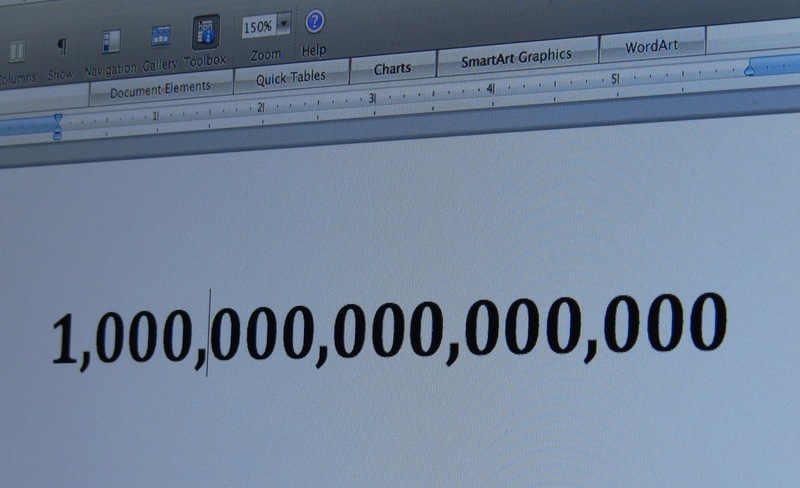 Another way to express that figure is about a quarter-quadrillion dollars (a quadrillion is 1,000 trillion). The global debt-to-GDP ratio is about 318%, a dangerously high level, especially if interest rates start to rise. That the U.S. is heading quickly toward $1 trillion annual deficits, probably by next year, and that these deficits will continue at that level as far as the eye can see.